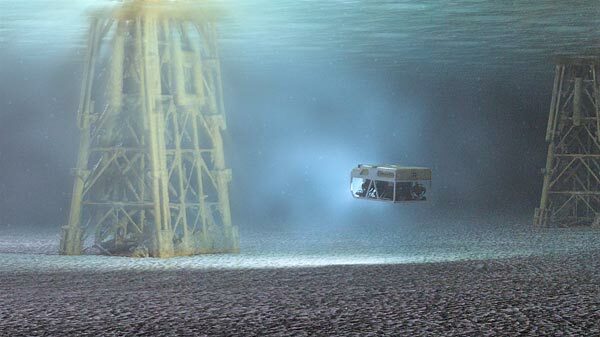 Subsea technology company, Rovco, has secured Innovate UK funding to develop a cutting-edge 3D visualisation system as part of a two-part Artificial Intelligence demonstrator project potentially worth GBP 1 million. Phase two will include the development of a complete 3D vision-based survey solution using Artificial Intelligence (AI). The technology could reduce offshore inspection costs by up to 80%, exploiting recent advances in both camera technology and embedded graphic processing, while utilising small, intelligent, autonomous robotic vehicles. As the UK Government’s technology innovation and research centre for advancing wind, wave and tidal energy, ORE Catapult will provide access to its state-of-the-art marine energy testing facilities and will assist in the delivery of project outputs to a wide range of end users. “Compared to traditional visual survey methods, 3D delivers precise measurements and reliable metrics for asset condition monitoring. Combining this with the use of AI to better analyse and understand subsea data, enhances asset integrity decisions and reduces the manpower required, while also speeding up project turnaround times. We are looking forward to working alongside the Offshore Renewable Energy Catapult to develop a system that could lower subsea inspection and decommissioning costs by 80%,” adds Allen.